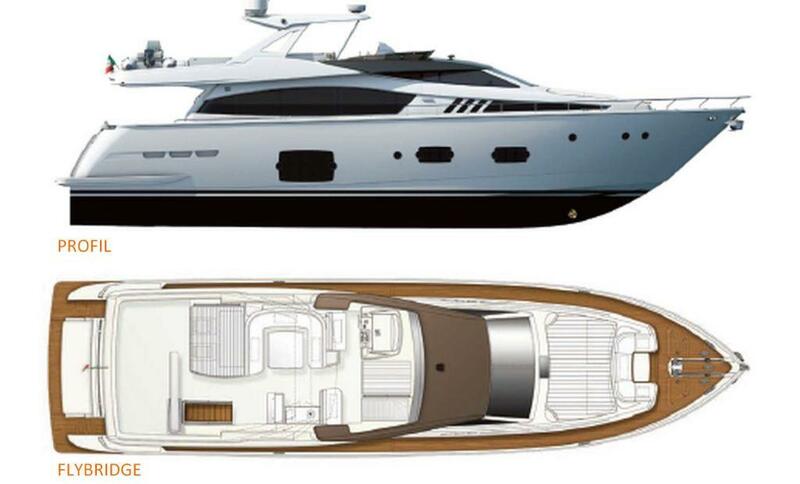 Motor yacht IGELE is a 23,9m (78,8ft) Ferretti with launch in 2013. 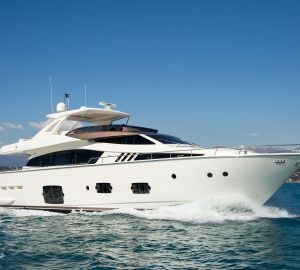 She offers accommodation in 4 cabins, for 8 charter guests. 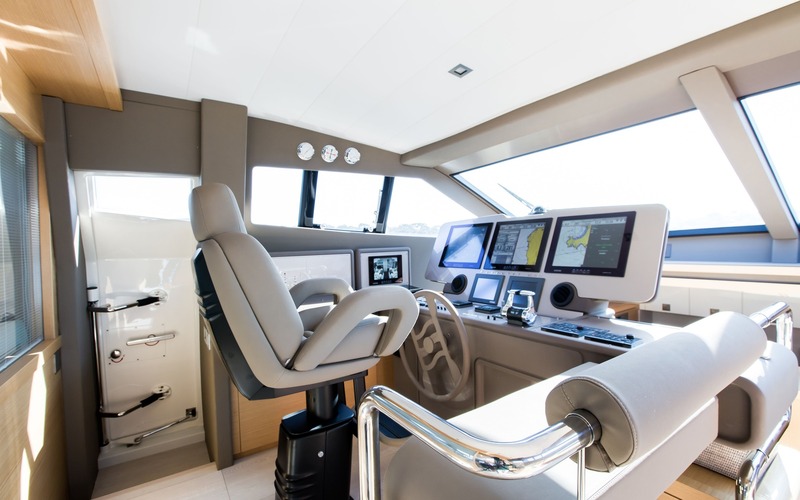 The yacht's interior is contemporary and spacious, with neutral soft furnishings and light woods throughout. 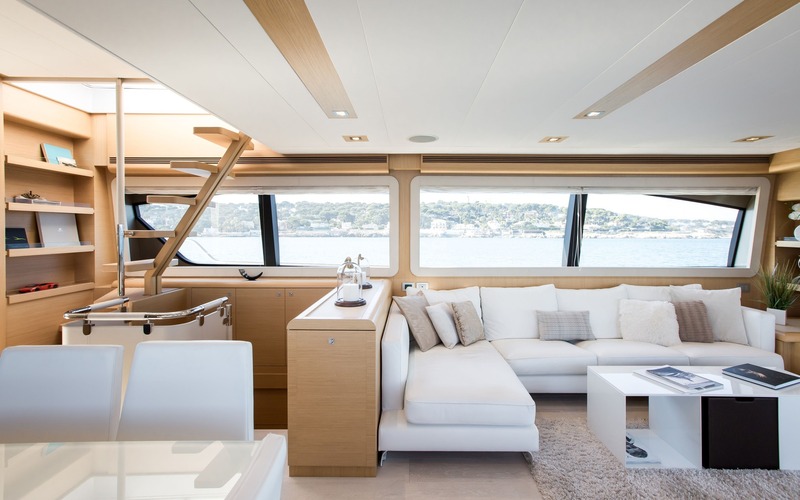 The main salon is laid in an open plan, with the generous lounge aft, featuring opposing sofas and coffee table. 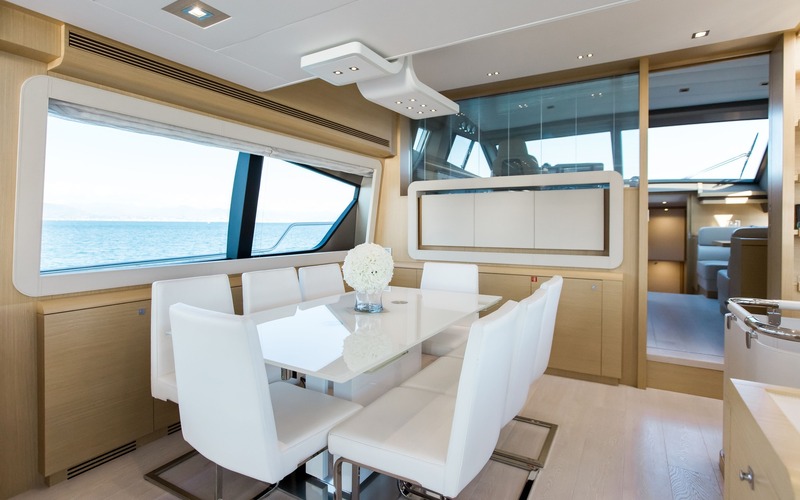 Forward on port is her formal dining area. 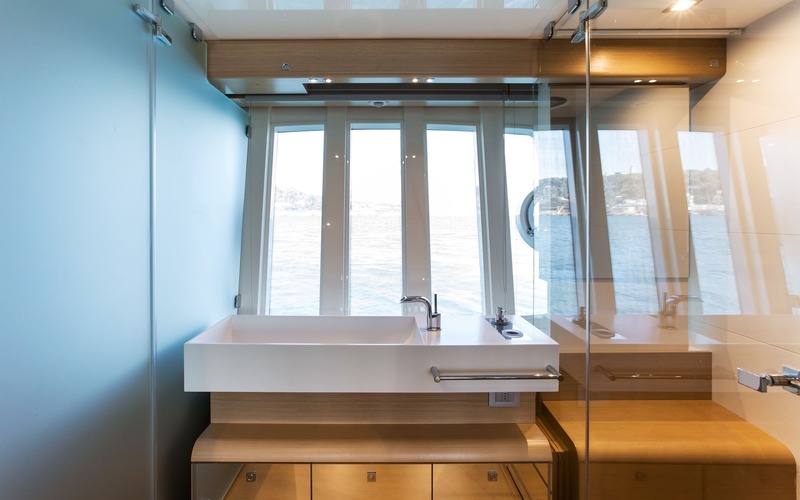 With panoramic side windows, sliding glass doors aft and forward facing helm station, the salon and dining area receives ample natural light. 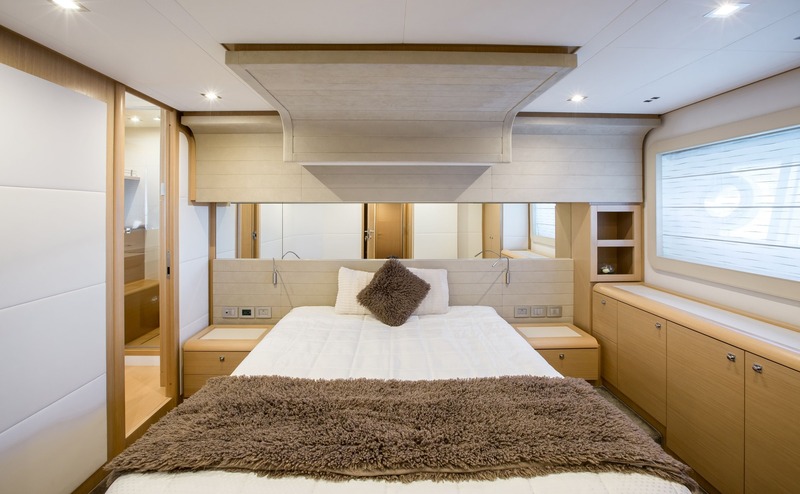 Accommodation is on the lower deck in 1 master, 1 VIP, 1 double and 1 twin bunk cabin, all boasting private ensuites. 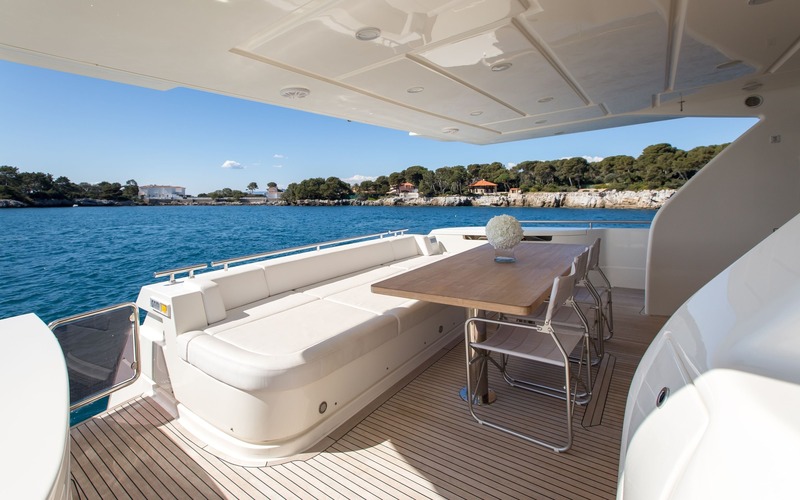 Exterior living is impressive on the IGELE. 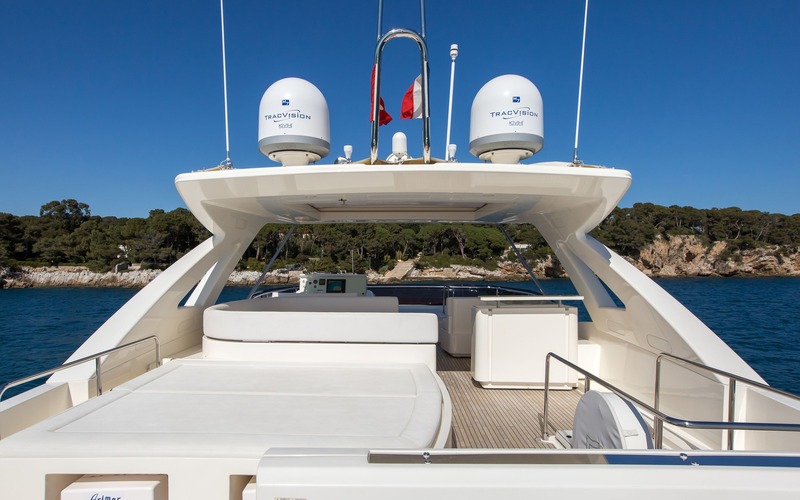 She offers and alfresco dining option on the aft deck, followed by an extended swim platform, ensuring optimal water fun. 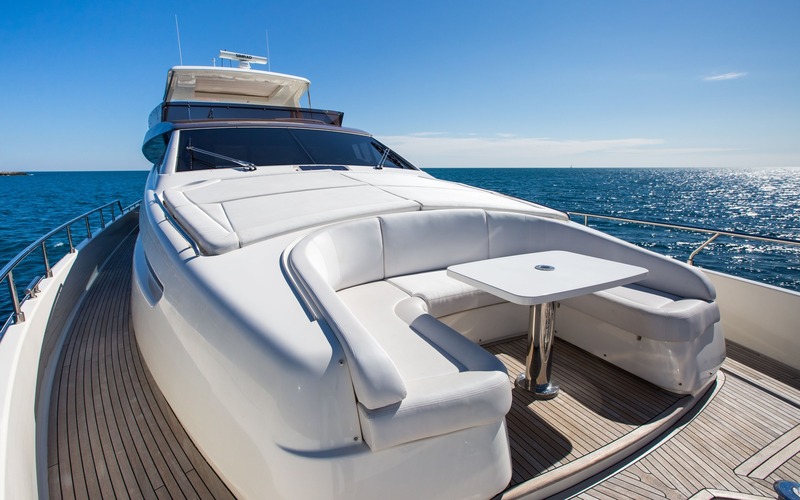 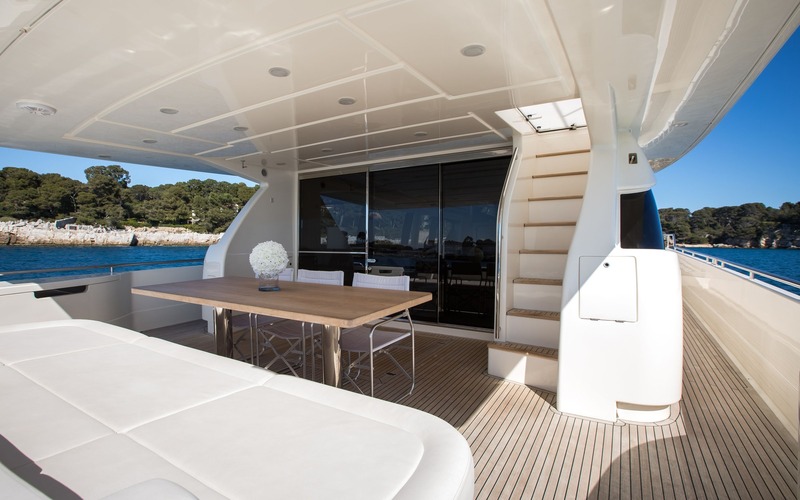 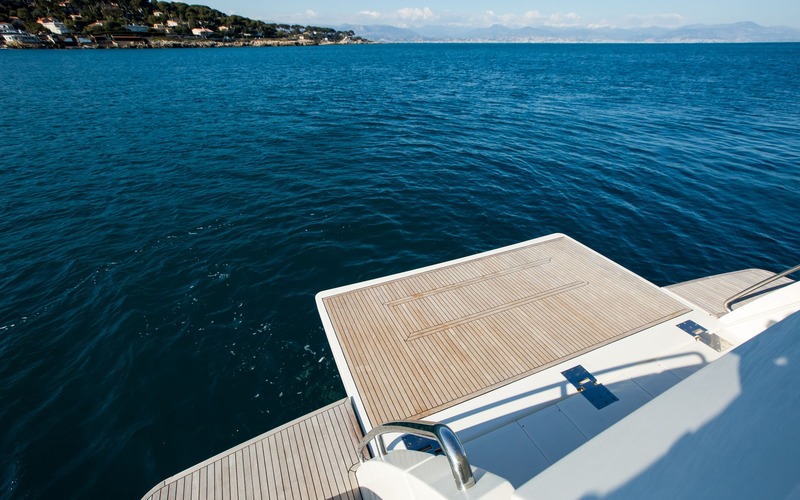 The foredeck has an intimate seating area with table, perfect for aperitifs, as well as a large sunpad. 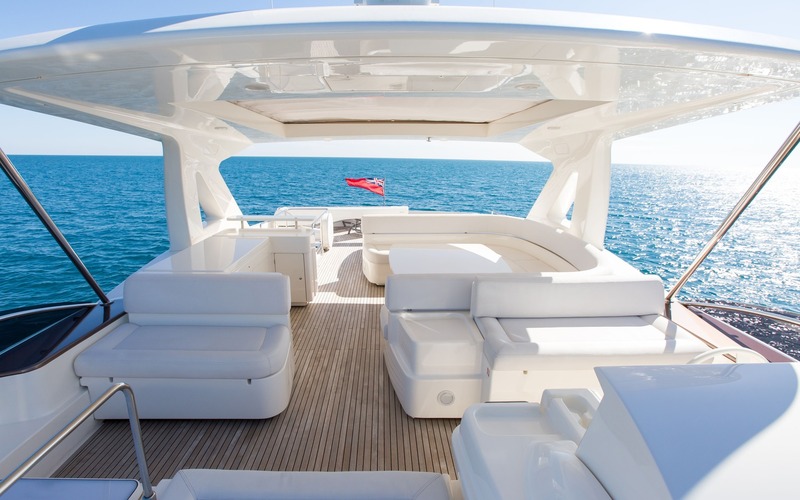 The sundeck is a social hub, complete with seating, sunning and alfresco dining. 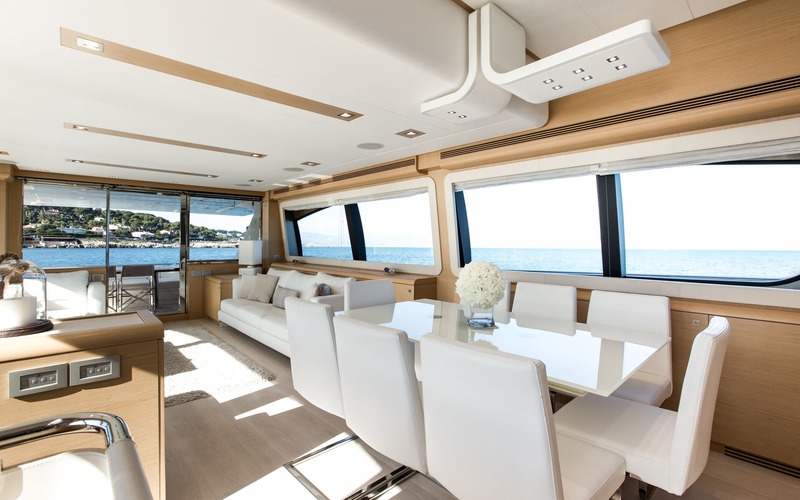 The sundeck offers charter guests shade or sun, thanks to the retractable rooftop over the dining table. 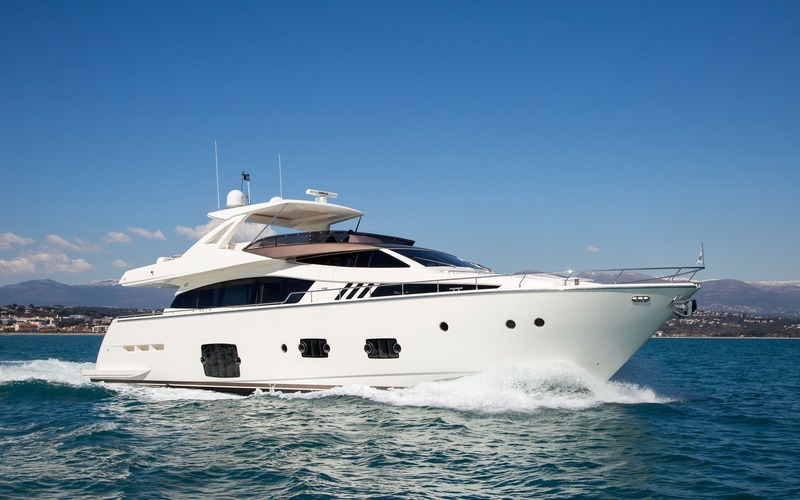 Powered by twin MTU 2864 motors, Ferretti yacht IGELE has cruising speeds of 20 knots and top speeds of 27 knots. 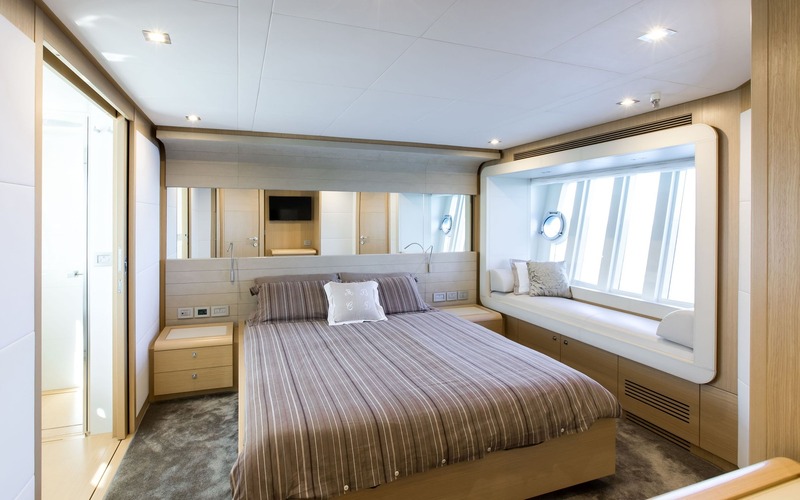 Accommodation in on the lower deck, for up to 8 charter guests. 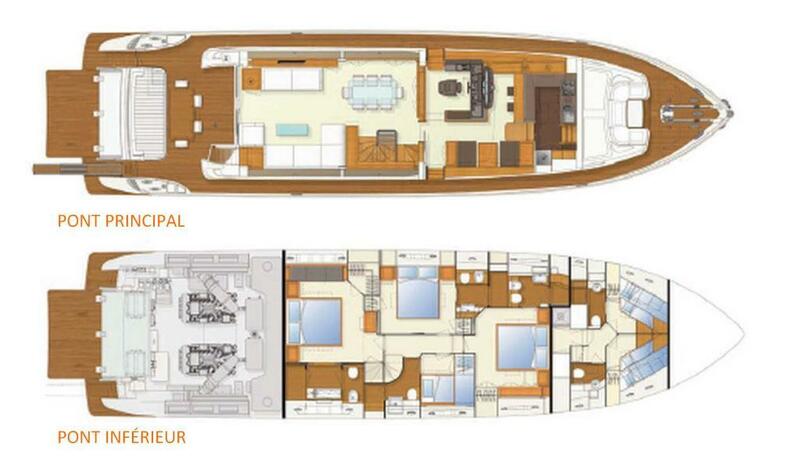 Her master stateroom is full beam of the yacht, aft of amidships, with a king size bed. 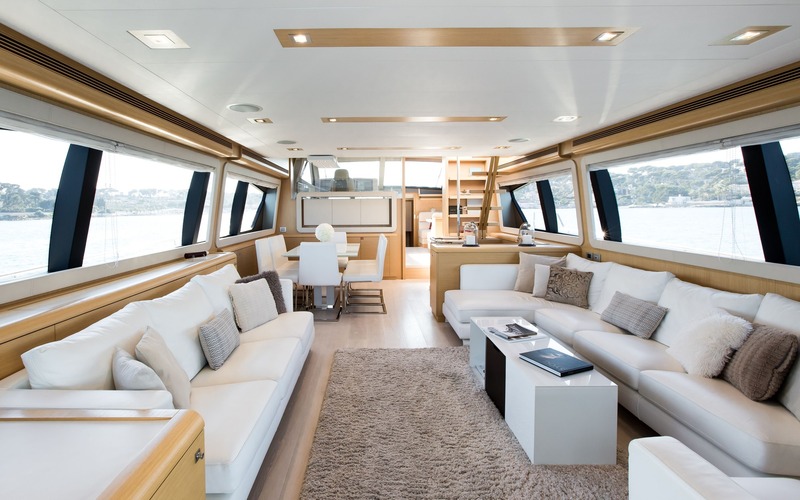 Her VIP cabin is forward and full beam of the yacht with a queen size bed. 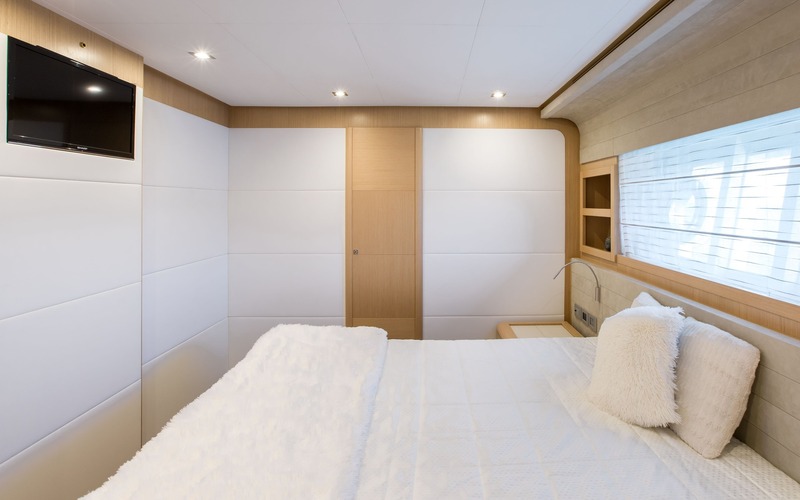 A guest cabin is to port with a double bed. 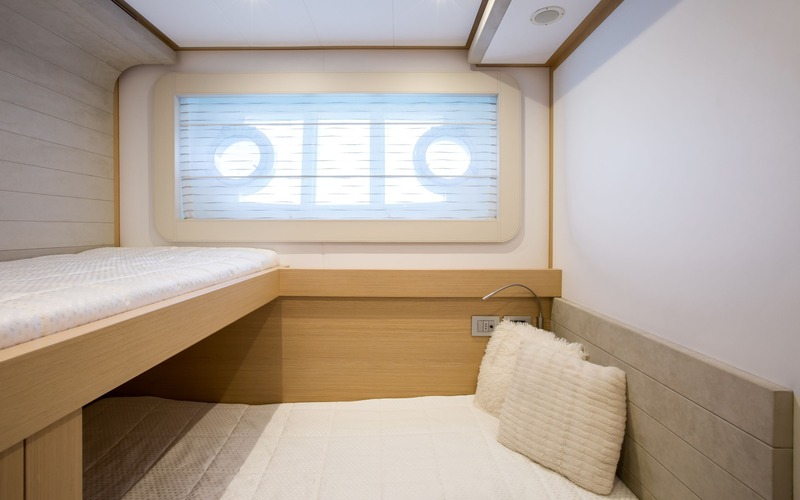 A further cabin features upper and lower bunk beds. 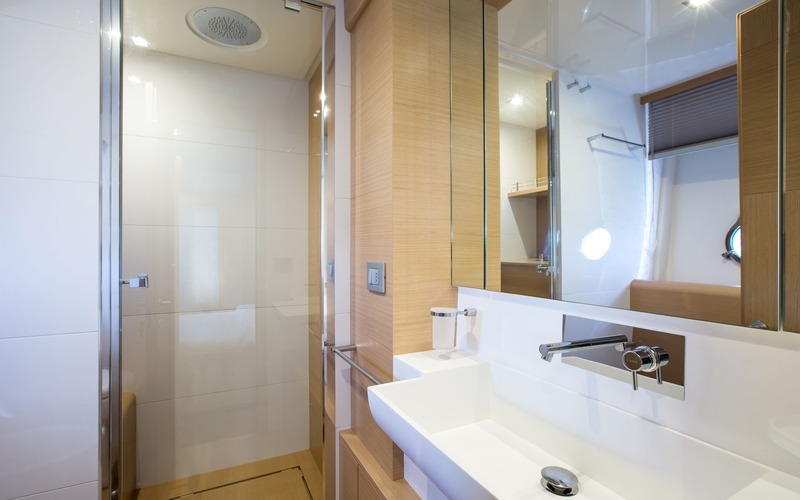 All cabins have private ensuite facilities.